Tim Kasher is as prolific an artist as they come. The musician behind indie legends Cursive and The Good Life has seemingly been the pusher behind the ones pushing the envelope. His dramatic songwriting has naturally spilled over into screenwriting where the music and film have become synonymous with each other. His third record, No Resolution on his new label 15 Passenger marks a firm first step into the next chapter of his career. Scene Point Blank caught up with Tim Kasher to talk about the new record, the new label, and his love of Men Without Hats. Scene Point Blank: Your catalog runs a wide and diverse array of music. Can you speak to where the inspiration for such diversity comes from? Tim Kasher: Hmm, I suppose any diversity found throughout the various monikers I write under is a direct result of having so many musical interests. Frankly, I don't know how one can write in just one style when there is so much going on in the world of music. Makes a person excited to play with time signatures, different timbres, and genre is a whole other massive discussion, haha. Scene Point Blank: No Resolution is a lush and beautiful record, the periphery sounds including strings and trumpet add an interesting layer to the overall songs. What was the songwriting process like for the record? Tim Kasher: Thank you! The songs are all started on an acoustic, then placed into the "box," aka Pro Tools to be further messed with. From there I was able to write via a keyboard using midi instrumentation for all the arrangements. I send said arrangements over to Patrick Newbery through the software Sibelius which charts all your music for you -- amazing tech these days. Patrick "cleans" all my arrangements (I don't actually read or write music in the traditional, collegiate sense) for me and then we are off to the studio with hired professional musicians to perform the pieces. Scene Point Blank: The interludes and reprises on the record serve almost as palate cleansers for the next song. Was that intentional? Tim Kasher: I was hoping that would be the case, yes. But I also like the fluidity that small pieces such as these can offer to the overall album listening experience. All those smaller pieces are actually score from the film production. Scene Point Blank: What is it like recording for your own label, 15 Passenger Records? Tim Kasher: Well, not so different, really, as I've always had a close relationship with Saddle Creek as well... Main difference I suppose is that I now want to keep a closer eye on budget, haha. Scene Point Blank: No Resolution is your third solo album. What is the difference in approach to a Tim Kasher solo record vs. a Cursive or The Good Life record? Tim Kasher: It's a lot lonelier, doing these solo records. The influence from the other players in those bands can be so crucial; when working on these songs alone, you don't really have anyone to bounce ideas around with. There is also no one to be a "cheerleader" for certain songs, or conversely, to discourage others, haha. So, you have to completely be your own censor/critic, which isn't all that easy. Scene Point Blank: I am a huge believer in location playing a big role and influence in sound. How has Omaha influenced you as a musician? Tim Kasher: I believe Omaha has kept all of us musicians honest in our ethics regarding music, and has kept us modest and grounded. Nebraska is a conservative part of the country, and although we are all quite liberal, those conservative values can still play a role -- even a positive role, believe it or not. Scene Point Blank: And has moving to the West Coast changed that influence? Tim Kasher: I've been moving a lot over the years, and as I agree with you that environment plays a big part on influence, I'm often hard pressed to figure out what those influences are. Sometimes, it takes leaving a place to understand what those influences were. But agreed, that environment plays a big role: many songs I play, I can picture the neighborhoods I was in when writing them. Scene Point Blank: Your music is so big and grandiose, but intimate in the same breath, I feel it more on No Resolution than other records. How do you think you have managed to toe that line over the years? Tim Kasher: I recognize that I do this, as I am often trying to make music bigger and grander, so to speak, as I feel that's part of my growth as a musician. This applies to the intimacy aspect as well, but that is relative to the lyrics, in my opinion. I am always trying to find a deeper intimacy with lyric writing. Scene Point Blank: Tell us about your venture into screenwriting on Lovely, Still, and Help Wanted Night and what is the mindset when writing a screenplay vs. writing lyrics on a record? Tim Kasher: I started writing screenplays a while ago. Firstly because of my intense love for film, but also because I was feeling strangled by the limitations of storytelling in music. I love how free form screenwriting is, telling a full story where the only limitation is how much money you'll need once it's finished, haha. By going into script writing, I was able to return to music with a much healthier attitude! I love both mediums equally, as they offer different aspects of the writing process. Scene Point Blank: What are the biggest influences on your art right now? Tim Kasher: Hmm, at this very moment it's the graphic novel, Blankets by Craig Thompson that is really blowing me away. It's such an impressive work of intimacy and honesty. Writers influence me a lot, as you spend so much time living in a novel. I've recognized a lot of influence in recent years from Philip Roth and Cormac McCarthy. Scene Point Blank: What was the first record you ever bought with your own money? Tim Kasher: Men Without Hats! Scene Point Blank: What drove you to want to become a musician? Tim Kasher: A need to start writing anything I possibly could. And also, Matt Maginn and I grew up with a lot of alternative music all around us from older siblings. We fell in love with that world and wanted to be a part of it. 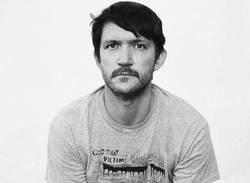 Scene Point Blank: What’s next for Tim Kasher? Tim Kasher: Writing the next record and the next screenplay. Words by Brian Furman on April 15, 2017, 1:31 a.m.
Posted by Brian Furman on April 15, 2017, 1:31 a.m.
Posted Aug. 30, 2015, 10:46 p.m.
Posted Jan. 18, 2011, 7:27 a.m.